If finding your purpose has been on your list of To Dos for a while, but you aren’t any closer to finding the answer, you’re not alone! You’ve been around the block long enough to know that there are so many possibilities of a having an emotionally rewarding career. At least that’s what you hear, but how the hell do people know what that is?! You’re beginning to think that there’s something wrong with you because YOU don’t have a purpose. The answer should be clear, right? I’ve got good news for you…there’s nothing wrong with you! So many people are searching for their purpose and waiting until they have THEE ANSWER. Check out this video and learn the #1 thing you can do to start getting the answers you need! The thing I love about paying attention to the things that light you up in life is that it creates more self-awareness. The discovery process can be both very satisfying and very eye-opening. You may not always like what you see. I love this article 5 Reasons Why Most People Never Find Their Purpose because the author touches on both the good and bad sides of this discovery process. As you learn more about yourself, you can start making decisions…educated, heart-centered decisions! When things get uncomfortable, we tend to want to shrink or procrastinate out of fear. I beg you…whatever you decide, DON’T PLAY SMALL! The world needs more people who are actively engaged in their lives. You aren’t doing anyone a favor, ESPECIALLY yourself, if you stay stuck and complacent. 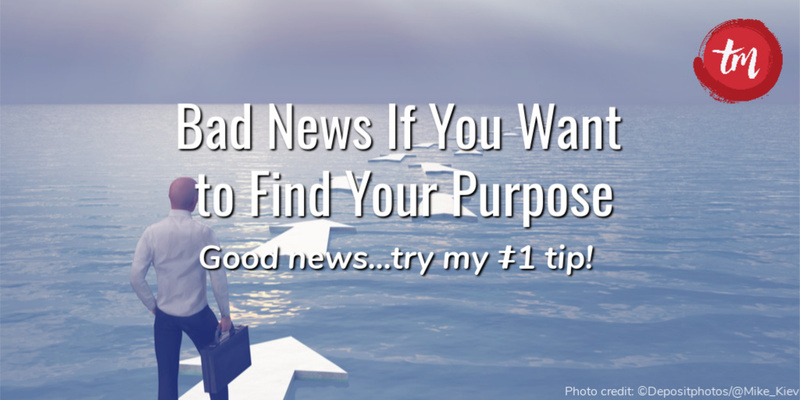 Maybe you’ll even discover that finding your purpose is really all about finding yourself! Tell me in the comments below ONE thing that you know lights you up! Be sure to start a journal so you can continue your journey.